Frequency coordination is a process. Follow the steps and it’s easy. The need for coordination is because the wireless mics, ears and guitar transmitters mostly operate in the UHF TV bands – which are currently channel 14 to 51 in the USA and 21 to 59 in Europe. Every location has different channels actually in use and it is imperative to avoid picking frequencies, which are on or near these TV stations. Often you can get by just setting your systems to any clear frequency which is separated from all your other wireless and the TV stations. Typically a user will just turn on their receiver, see if it’s on a clear channel (no RF showing on the meter) and then set their transmitter on that freq. However the process listed here will give a better result in the end. This tutorial will discuss how scan data can be used to generate exclusions to get the best compatible frequencies for your coordination within WWB6. Implement "band planning" by assigning channels to specific frequency ranges within their tunable spectrum. 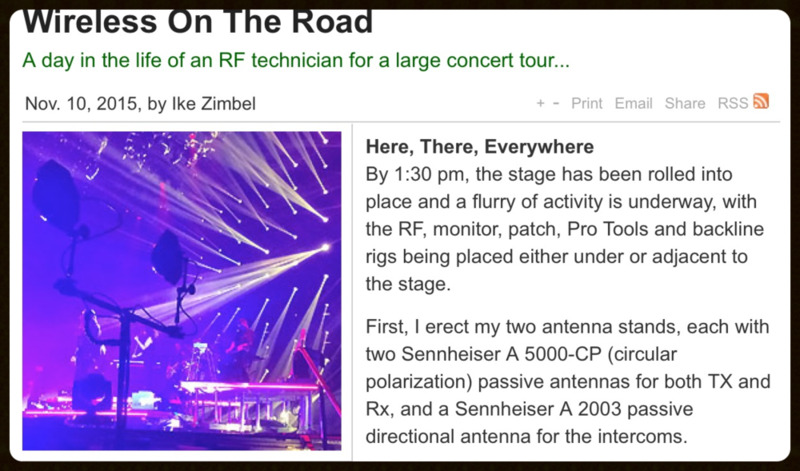 Let's take a look at a case where the frequencies for in-ear monitor transmitters and microphone receivers are intermixed in the spectrum. Terrific Resource for International RF requirements and licensing. This video shows an actual coordination and some of the Vantage Spectrum Analyzer's features. Here is a video from RF venue. It shows how Vantage, RF Venue’s OS X software for RF Explorer spectrum analyzers, can be used with Shure Wireless Workbench® in a professional live production scenario to do some very useful things. Alex Milne worked closely with Richard Stockton, a freelancer who at the time was on a corporate gig with FOH Productions, to record Richard’s Macintosh laptop while he was setting up wireless at the show, switching back and forth between Vantage and Wireless Workbench. Rapidly zoom into a 2 MHz range to check that a frequency is not near any harmful signals or intermodulation products—a trick Richard uses in conjunction with manual war-gaming. Equipment used on the show included Shure UHF-R on the main stage, Shure QLX-D in the breakout rooms, and a mix of Radio Active Designs UV-1G and Tempest intercoms for the crew. This is a great explanation on why we do Intermod calculations when coordinating frequencies. Here is a very nice video from w2aew, on exactly what the resolution settings on your spectrum analyzer really do. This is a tutorial and demonstration of the basics of the Resolution BW (RBW) and Video BW (VBW) functions in a Spectrum Analyzer. You may wish to review the "Basics of a Spectrum Analyzer" video if you are unfamiliar with the basic functions and block diagram of a swept spectrum analyzer. Also here's some things to avoid in doing RF for events and coordination tricks. A logical approach for tracking down common wireless system and related problems. Fixed a lot of VBA programing. Added some new ranges and VHF and RAD. A basic frequency and channel reference including manufacturers and frequency bands. The display can be shown in 8 mHz European TV bands as well as the USA 6 mHz TV band. Stations can be color coded or hashed when in use. If you would like a specific band or manufacturer added to the list, please contact Peter. As new bands become available, they are updated on this page. Check back often. NEW Version 5 is released! 1. Compatible with RAD UV-1G wireless with AM modulation and UHF/VHF band use. 4. You can freeze a to prevent recalculation. 5. Save-as Ver 4.8 file to distribute to others who have not upgraded to V5. 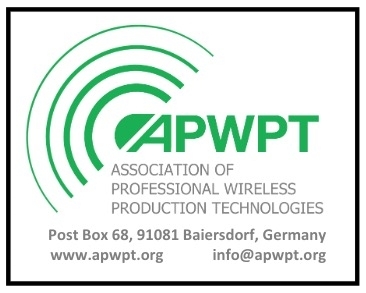 A software program by Professional Wireless, along with a database of most wireless equipment and their frequency bands. This software calculates the frequencies based on avoiding intermodulation products. Enter your tour's equipment list and recalculation for the next event is completed within minutes. By far, the best coordination software available. Free 15-day trial download. This video shows how to load a spreadsheet of frequencies which you need to avoid when you do your frequency calculations. 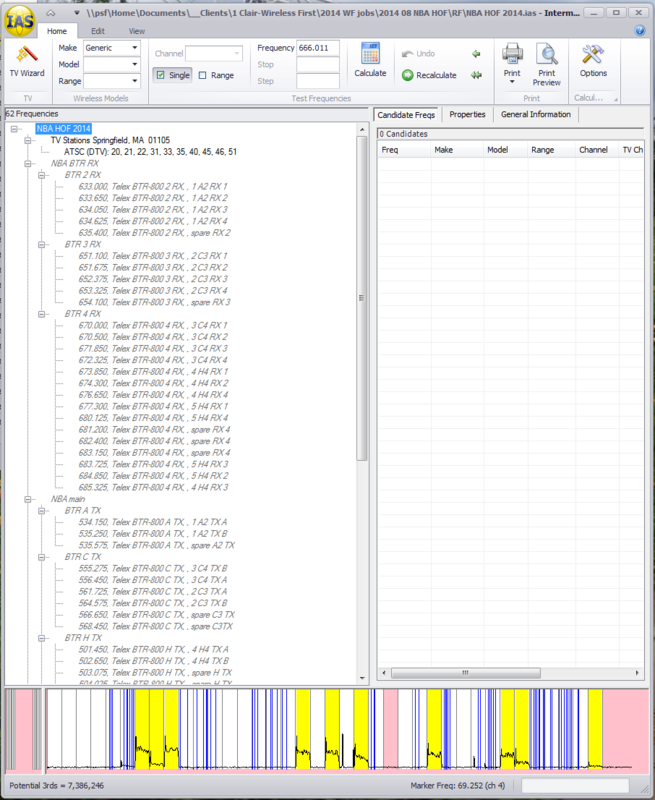 The example shows loading 200+ freqs from the MGM Grand. Visit our collection of RF scans from around the world. Some include inside and outside venue scans, DECT and 900 mHz and even successful IAS coordinations. New design - Very usable entry level inexpensive Spectrum analyzer. A basic paper provided by the DJ society. primary site for licensee information. Output format is not clearly documented but data most accurate. A good white paper on the basics of intermodulation interference and simple calculations was written by James Web from NASA. This website shows the results for either 2 or 3 frequencies and the intermodulation products. Antenna Placement and wiring manual from Shure. Terrifically complete manual on how antennas work and how they should be positioned.